StAbL app: insight & download. 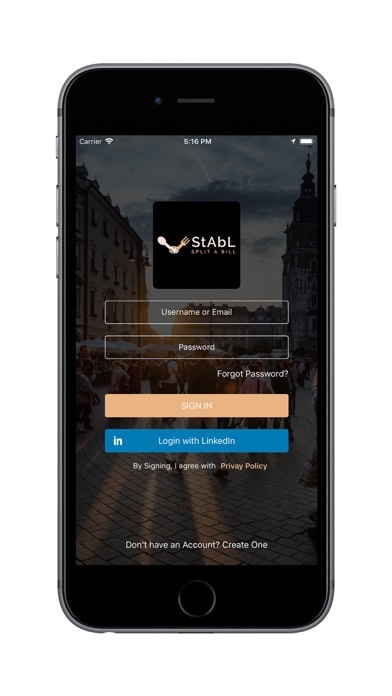 StAbL is a platform that will bring business travellers and frequent hotel visitors a safe and secure tool to avoid the “table for one” conversation at a hotel restaurant. StAbL will help to deal with the many problems and effects of working away from home such as loneliness, depression, anxiety and, but not limited to, boredom. Users can simply meet other users for dinner and avoid sitting alone in their rooms at night. Every day, hotels, local restaurants and bars are filled up with “table for one” diners. This platform has been developed to help eliminate this. As a business traveller, there is a huge potential to meet new friends, network with other professionals, gain leads/customers, recruit, discuss new ideas, and even help to create solutions to business difficulties at all levels, all from a hotel restaurant dinner table. This platform will be a safe and secure way to meet new people in a simple yet effective application. StAbL will allow users to create a profile and display their job title, personal bio as well as their hobbies and interests. 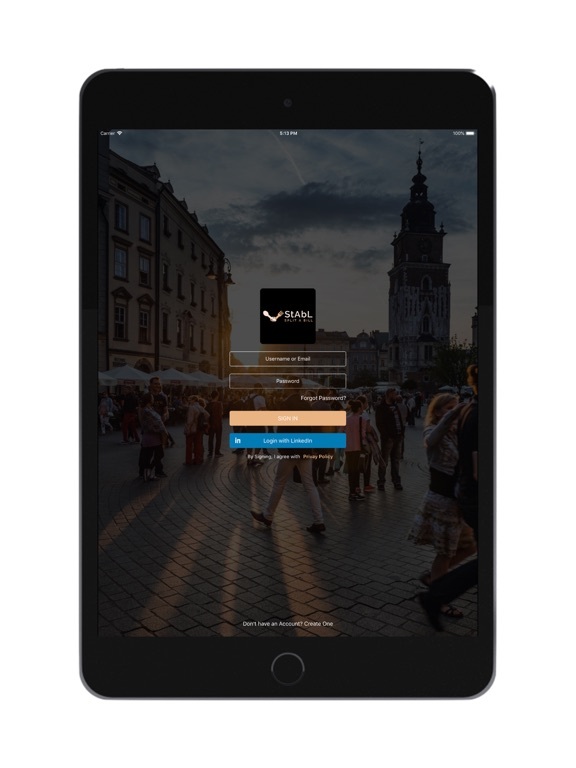 Once users have arrived at a hotel, they can check in using the application and be able to view all other users that have also checked in. Users can then select other users at the hotel and offer them an invitation for dinner or have the facility to message them beforehand. Users can then leave a review after a dinner meet up has taken place. Users who receive an invite will be given the option to accept/decline, or send a message. All invitees will be able to select a time to meet, and as standard, all meetings will be at the hotel reception. This allows for additional security and piece of mind. As a free user, you can send up to three invites for free each day to other hotel users. •	Able to send messages to non-premium members. •	Coloured ring around your profile to stand out. 12 June 2018 : Free!